While still living in Kansas City, Elias Disney, Walt and Roy's father, was growing tired and frustrated with the newspaper delivery business. In the spring of 1917, he decided to invest in a jelly company. 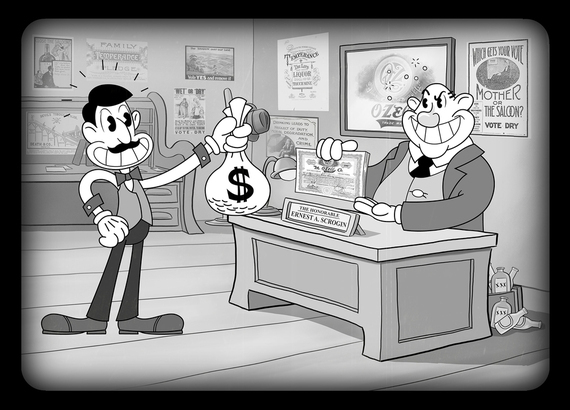 While still living in Kansas City, Elias Disney, Walt and Roy's father, was growing tired and frustrated with the newspaper delivery business. In the spring of 1917, he decided to invest in a jelly company. 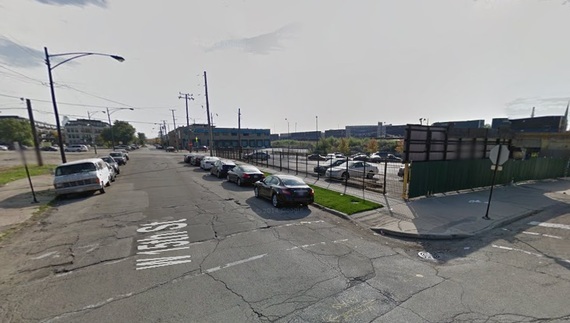 He took $16,000, including Walt's life savings of $20, and purchased a partnership in the O-Zell Company located at 1301 West 15th Street in Chicago. In 1911, Ernest A. Scorgin, an attorney for the Anti-Saloon League and supporter of Prohibition, became president of The O-Zell Company. The company, which was established in the same year, was to manufacture and sell an all-natural, fruit-based carbonated beverage under the name "O-Zell - The Oriental Fruit Beverage." Elias, himself a man of temperance, thought it was a great idea and would make the family a fortune. The company began experiencing difficulties and decided to also develop a line of jellies, jams and preserves. Elias invested more money into the company and he eventually moved the family back to Chicago and took a job as the factory's Head of Plant Construction. Walt, at his father's urging, started to work at O-Zell's including washing jelly jars, pulping apples and packing cartons. The company never brought the soda to market and eventually the courts convicted Scorgin on embezzlement charges. No one outside of the company ever got to enjoy these "exotic" elixirs... until now. Because of the intense connection to Walt Disney and his family, Dina Benadon and Brent Young, who are currently restoring and preserving The Walt Disney Birthplace (www.thewaltdisneybirthplace.org) in Chicago, have resurrected The O-Zell Soda Company to help fund the restoration of the house. Image: Courtesy of The O-Zell Soda Shoppe. The re-imagined soda, which was officially launched on May 3, 2014 at Walt Disney's former Woking Way home in Silver Lake, California by Dina and Brent, come in two delicious flavors: Vanilla Dream and Blue Ribbon Root Beer. 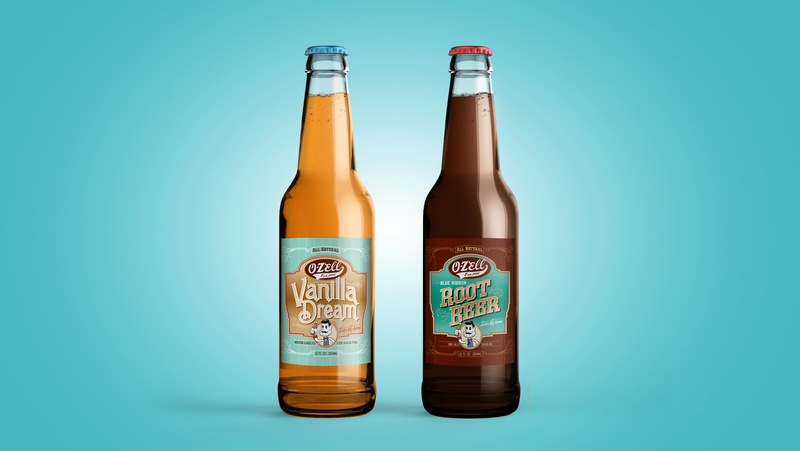 Currently the soda is available only online (www.o-zell.com), and sold by the dozen (a sample pack -- 6 Vanilla Dream and 6 Blue Ribbon Root Beer -- is also available) for $25 plus shipping. "We realized this was an ideal way to help raise funds for restoring The Walt Disney Birthplace," said Dina. "So we developed our delicious premium craft sodas, inspired by the original O-Zell, with 100 percent all-natural ingredients, including Hawaiian pure cane sugar and no high fructose corn syrups." Each of these sodas has a rich and flavorful taste without being overly sweet. They are perfect on their own or in an old-fashioned ice cream soda. 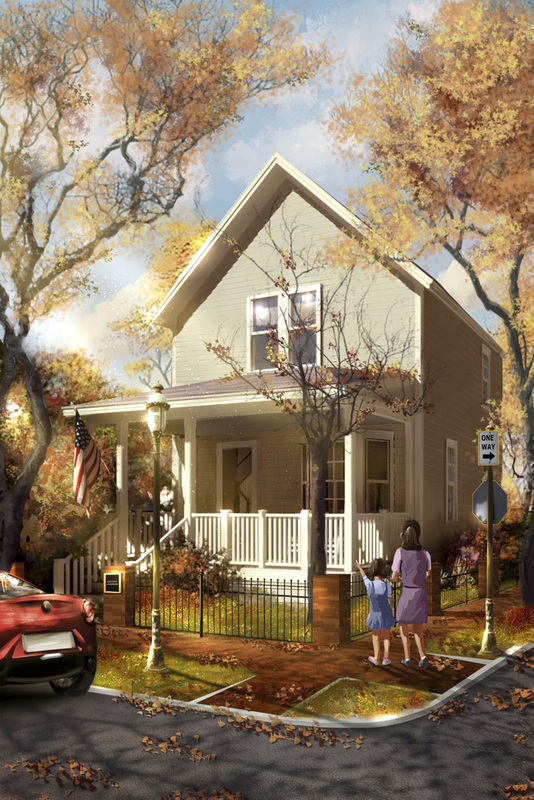 The Walt Disney Birthplace is a two-story, wood cottage that was designed and built by Walt & Roy's parents, Flora and Elias Disney in 1893, in the Hermosa neighborhood of Chicago. A couple of months after moving in with their sons Herbert and Raymond, Roy Disney was born in the home. They were joined by Walt, who was also born in the home, on December 5, 1901 and in 1903 their sister Ruth came along. The time all seven Disneys' lived in this house was the longest period they would all spend under the same roof.